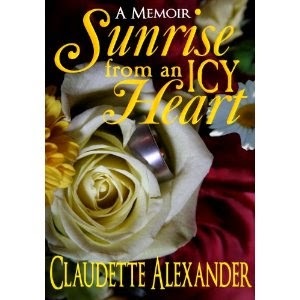 The author, Claudette Alexander, was a member of the Internet Writing Workshop while writing her memoir, and so I was able to comment and ask questions as she constructed the narrative. What struck me from the first page was her independence and her courage. Of course, it takes courage to be independent, at least sometimes, but when you consider how Claudette, as a young woman left the comfortable tropics for the cold uncertainties of Canada, you understand that this person had intentions to construct her own life in her own way. Memoirs are valuable to me because they allow a reader to see, to be, in a place and time through the eyes of another person. We are with Claudette as she grows up in the Caribbean, and we follow her through her travails in Canada as she matures into a strong woman, a loving mother, and a writer. Is the writing style literary, and perfect? No. But it’s strong enough to allow Claudette to tell the story of her life, and what more can we ask but to see the world in a new way?